I can’t speak for anyone else, but when I watched the trailer for Spectre, and heard Christopher Waltz saying the line: “Welcome James, it has been a long time”…I got goose bumps. Spectre looks set to be the darkest, most spine-tingling Bond to date. It is full of unearthed secrets and hidden mysteries - it is a labyrinth of unexpected turns and dark corners. 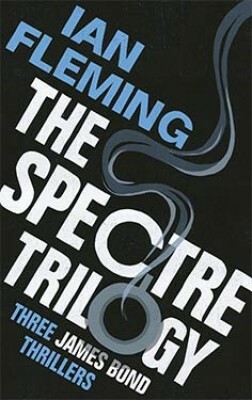 In it, Bond discovers, and infiltrates, a secret society called SPECTRE (cue shiver). The film opens, I have heard, during a Day of The Dead festival (a tip of the hat to Baron Samedi from Live and Let Die?) and has stunts to make your eyes bleed (a touch exaggerated). To be honest I was sold at Christopher Waltz. *Waterstones does not advocate drinking or smoking. Instead, just hold replicas, stylishly, in a dropdead suit. Watertones does advocate reading, however. 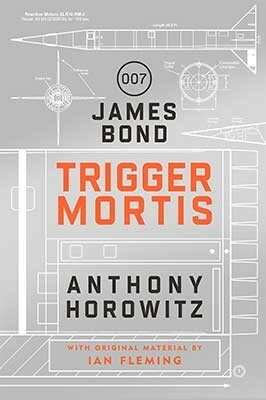 SPECTRE is the ultimate threat;In On Her Majesty's Secret Service, Bond disrupts SPECTRE's plan to destroy Britain from the inside, but little does he know victory will bring tragic consequences.